Legs apart , with baseball bat in hand and ready to take a swing. 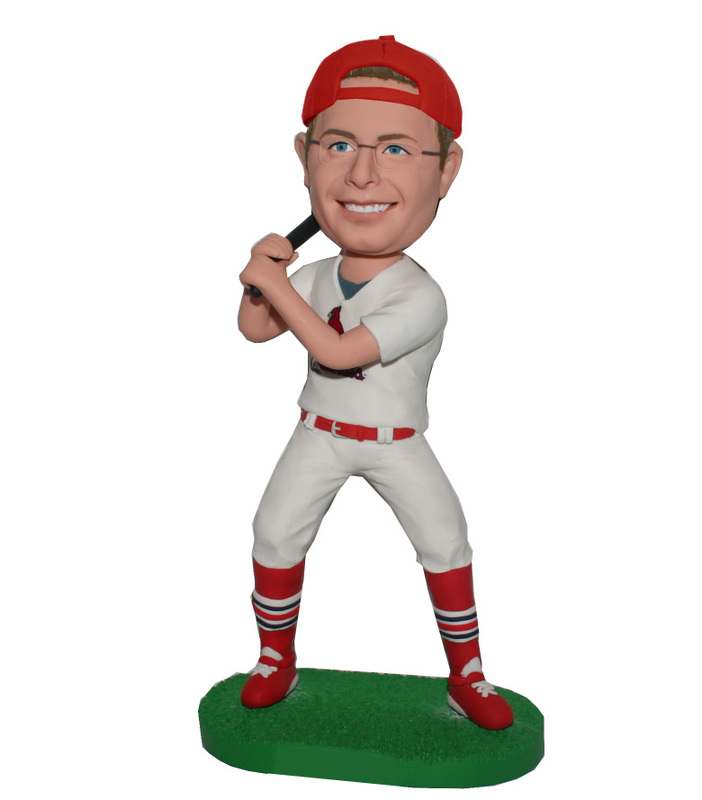 This Male baseball custom bobblehead doll is getting ready to take the home run. As a baseball fan or learner, none of them doesn’t like to have a bobble head of their favorite players. But, there in nothing more amazing to have their own head sculpted on a base ball bobblehead body. With this item, you can even have his favorite number on the jersey. It also a good gift as encouragement.